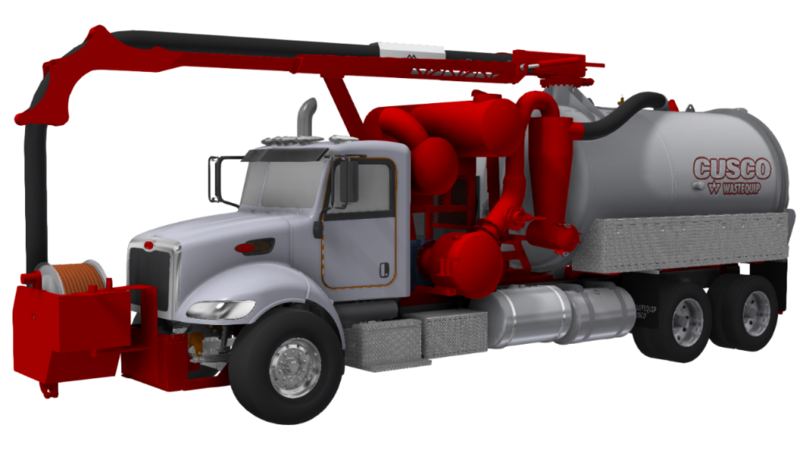 Easily integrated with any brand of chassis, the Sewer Jetter was engineered based on Cusco's years of industry experience and follows in-depth analysis of the industry's desire for a more durable truck with technological advancements. With a cleaner, more streamlined design, the Sewer Jetter offers digital and hydraulic controls that are less complicated than those of competitors, allowing for ease of use and simplified operator training. Cusco's Sewer Jetter has focused on the need for simpler regular maintenance and robust and uncomplicated systems, resulting in fewer repairs and less downtime. "While buyers and users value integrated digital equipment, we've heard that most of the technologically advanced trucks on the market are overbuilt with unnecessary features and do not hold up well to extreme weather conditions and moisture or are prone to failures that take a long time to fix because of the complicated nature of the system," said John Defenbaugh, president of Wastequip's mobile division. "This overbuilding results in greater expense for the buyer. With the Sewer Jetter, Cusco offers balanced advanced technological functionality and robust design with practicality to deliver exactly what our customers need at a very attractive price point." In keeping with their desire to meet the needs of the customer, each Cusco product is built-to-order. The Sewer Jetter can also be paired with a Cusco Hydro-Excavator (SJX) to give growing municipalities and contractors a powerful option for handling sewer and water line maintenance and digging new lines with one piece of equipment. Other options, including tank size, pressure, chassis, etc. can be modified based on customer specifications.